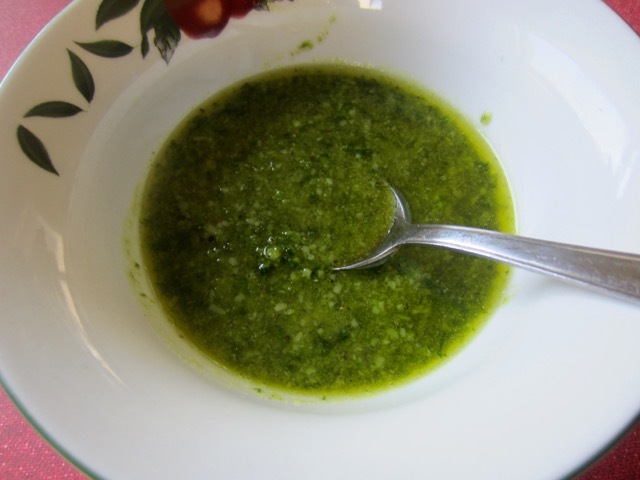 Pistou is a simple pesto used as an accompaniment for soup. 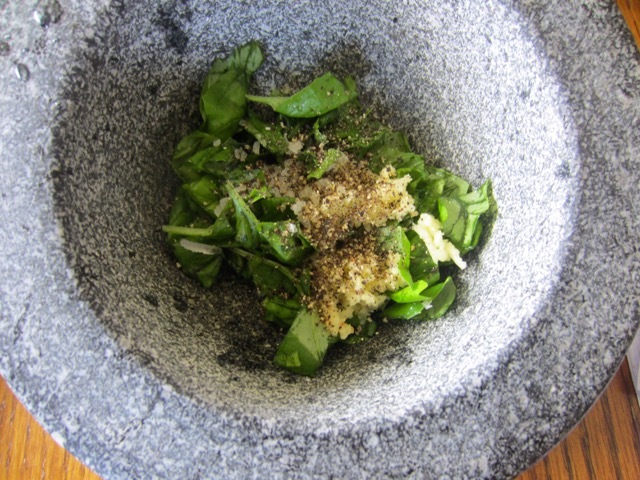 The basic ingredients are fresh basil leaves, garlic, parmesan and extra virgin olive oil. The pesto is seasoned with freshly ground pepper and salt. and serve as an accompaniment to soups or stews. To Make the Pistou: tear the basil leaves and pound them with the garlic, salt and pepper in a mortar. Add the parmesan in 3 batches, each time alternating with 2 tablespoons olive oil and continue pounding to a thick paste or to your desired thickness. 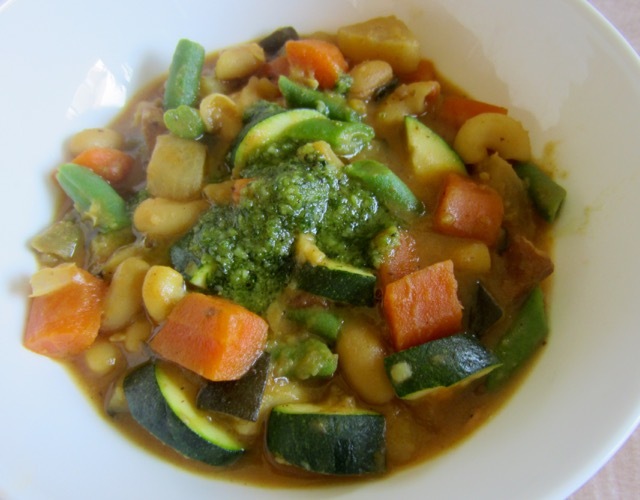 Pour the pistou in a small bowl and serve as an accompaniment to soups or stews. Prev What is Coriander Leaf (Cilantro)? Next What is Habanero Pepper?